After performing many tests for statistical significance, the next step is to check if any results are more extreme than we would expect by random chance. One way to do this is by comparing the distribution of p-values from our tests to the uniform distribution with a quantile-quantile (QQ) plot. Here’s a function to create such a plot with ggplot2. Suppose we did 10,000 tests and got a p-value for each test. 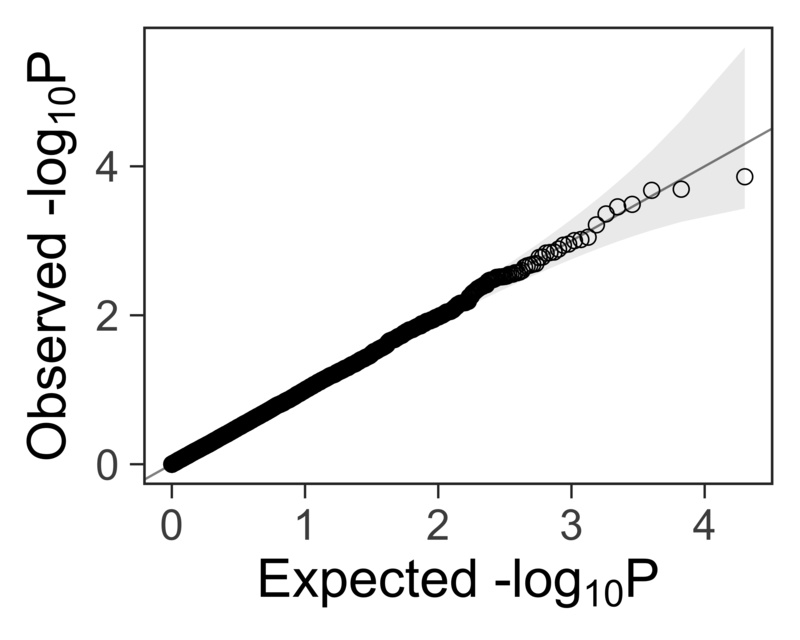 It would be nice to have a function that accepts a vector of p-values ps and returns a ggplot2 plot that can be further customized. #' Create a quantile-quantile plot with ggplot2. #'   - Expected P values are uniformly distributed. #'   - Confidence intervals assume independence between tests. #'     will result in similar test statistics. #' @param ps Vector of p-values. #' @param ci Size of the confidence interval, 95% by default. #' @return A ggplot2 plot. We can add customizations to the object returned by gg_qqplot(ps) with theme_bw(), theme(), and other functions. In genome-wide association studies, we often see a lambda statistic \( \lambda \) reported with the QQ plot. 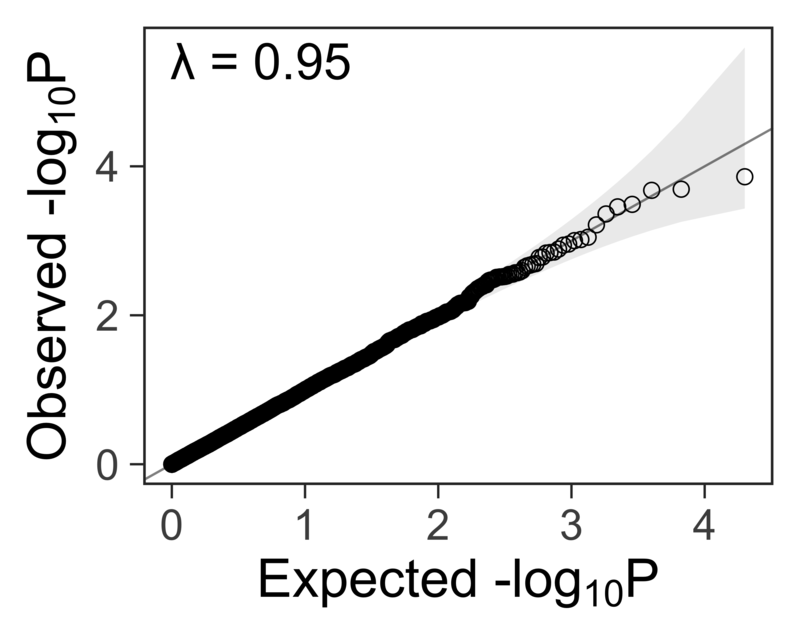 In general, the lambda statistic should be close to 1 if the points fall within the expected range, or greater than one if the observed p-values are more significant than expected. In 2018, Alexandre Almeida created the qqplotr R package, and it looks great! Try it out.